The Wolfe Pit: Mountain House Freeze Dried Pepper Steak! - LAST'S 30 YEARS! Mountain House Freeze Dried Pepper Steak! - LAST'S 30 YEARS! Pepper Steak is one of my favorite all time comfort foods, not only because it's delicious, but it's also east to make! But we don't always have the means to cook homemade foods if we're out camping, hunting, hiking or in a emergency situation. 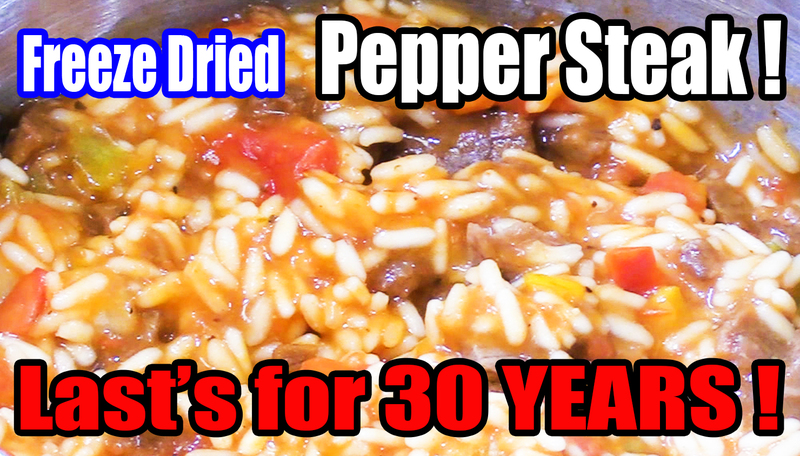 So that's when Mountain House Freeze Dried Italian Style Pepper Steak with rice and tomatoes comes in handy! All you need to do is add boiling water! 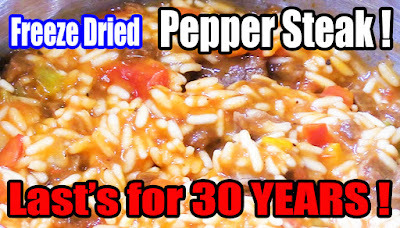 These meals also last up to 30 years so they are a great food storage item! BUT, are they any good?